Who is a Welder ? A welder is a skilled tradesman who joins metal together, or fills and repairs holes on metal constructions through the use of intense heat and gas. 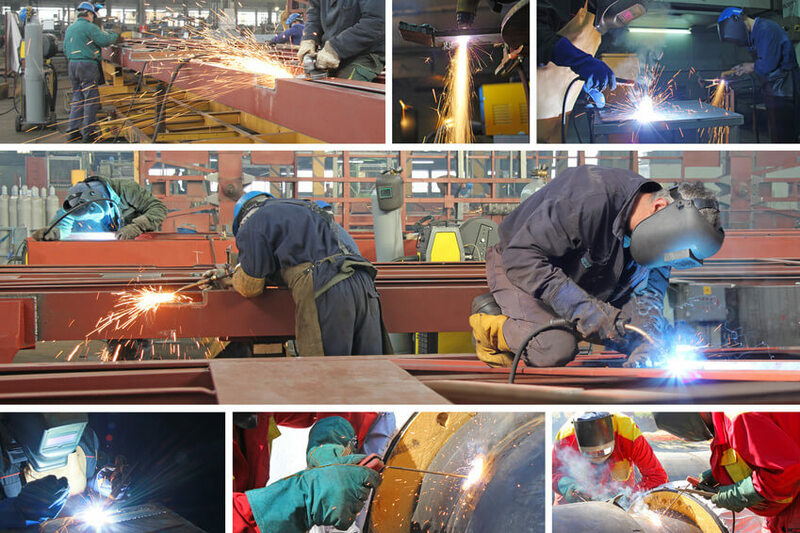 Welders work on all types of industrial, manufacturing, and construction applications; some even work underwater to repair oil rig foundations, ship hulls and other types of subaquatic structures. Due to the almost universal need for their skills, welders are in high demand worldwide. The specific job duties of a welder vary depending on the skill of the welder and the industry in which they work. work on assembly lines, performing repetitive welding tasks. They may employ robots in order to join body panels from a car or truck or perform spot welds during the construction of specialized equipment. They may have little or no knowledge of the properties of metal, or what types of gas, wires, and settings are used to produce a stable, strong weld. know the welding specifications of many types of metal. Through either apprenticeship or education, they learn advanced welding techniques and may hand weld or use robots to weld metal components. While those who use robots are usually confined to working in a factory, those who weld by hand can work in almost any type of application. Construction welders join steel I-beams for high-rise structures, skyscrapers, and any other type of building that uses metal. Welders can also work on a car racing team, repairing the chassis of a damaged car or building an entirely new one. NASA even employs highly skilled welders to work on aerospace applications. Depending on the project, welders use one of the more than 100 welding methods. In arc welding, workers either weld by hand or machine. It is the most common method of welding in which an arc of electric current combines two metal pieces with a special welding rod. Oxy-fuel welding, oxyacetylene welding, or gas welding use gasses and oxygen to produce the heat needed to melt and join pieces of metal. Other types include resistance welding, shielded metal arc welding, submerged arc welding, and the more modern laser beam welding processes. Welders may specialize in one or more of these types, as certain metals will require specific welding methods. Welders typically work from blueprints or specifications, then use their knowledge of base metals and joining techniques to select the appropriate material for the job. They cut, position, and spot weld the metal in preparation for one of the many welding processes. The difficulty of the job depends on the type of metal and position. Hard metals like titanium and steel tend to warp less and are therefore easier to join together. Malleable, soft materials like aluminum are easily warped and subject to damage if the surface is not thoroughly cleaned; special care must be taken on the part of the welder to prevent imperfections in the weld. Regardless of the type, welders are exposed to intense and blinding heat and must take special care to ensure their own safety and the safety of those around them. Welders wear special gloves and aprons to prevent sparks and flame from burning their clothes and skin. They also wear a special mask to prevent flash burns, which are much like an ocular sunburn. In addition to taking safety precautions, welders must monitor the metal they are welding closely. Special care is taken to prevent overheating of the metal which leads to warping, distortion, shrinkage or expansion. Welders also maintain their equipment and work with various power tools, including a grinder, to prepare metal surfaces for welding. What is the workplace of a Welder like? Many welders work a regular 40-hour work week though opportunities for overtime work are frequent due to the demand for welding. It is estimated that one in five welders work 50 hours or more per seven-day period. They are exposed to a number of welding-related hazards while on the job including the inhalation of gasses and particulates and the danger of falling for construction welders working on high platforms. Some companies employ welders on overnight shifts so that production can continue 24 hours a day, year-round. How to become a Welder ? Welders can work on many kinds of structures, such as mobile homes, pipes, steel reinforcement and others, because welding is a relatively easy manufacturing process and provides a great deal of strength. 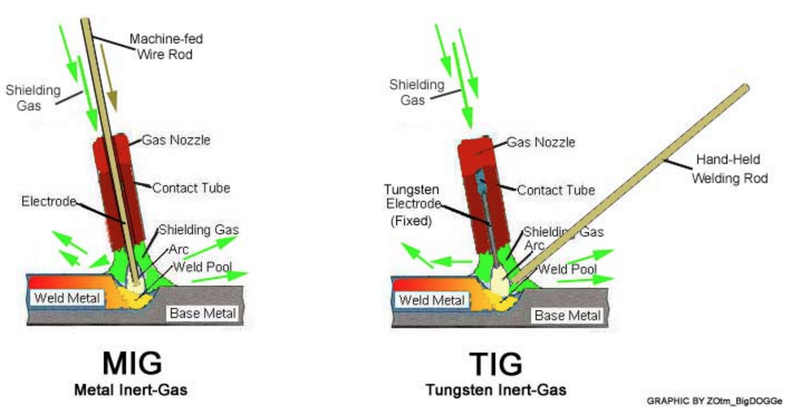 While Metal Inert Gas (MIG) and Tungsten Inert Gas (TIG) are both shielded arc welding applications, they are very different from one another. MIG welds are created with a consumable electrode, while TIG welds are created with a non-consumable electrode. TIG welding typically includes filler metal as well. TIG and MIG arc welding can both be automated. However, TIG is a more complicated process so the equipment is more expensive and difficult to set-up. 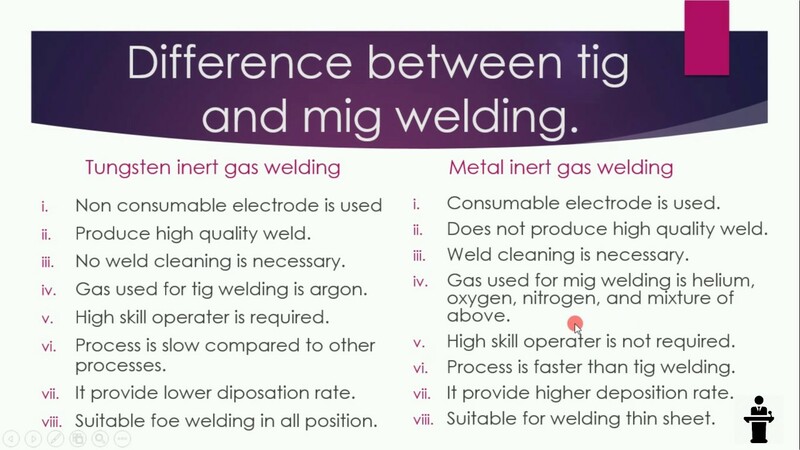 Find out more about the pros and cons of MIG vs. TIG. What is turnkey integration ? Turnkey integration gets its name from being all-inclusive and production-ready. Robot workcells are turnkey integration systems because they require little installation and have every necessary element: robot, safety, tooling, etc. Turn a key or flip a switch, and presto - you're automated! Interested in a robotic turnkey integration system for your facility? RobotWorx is a turnkey integration expert. We build custom turnkey workcells to answer specific application needs. Avoid delays and costly mistakes when you buy a turnkey integration system. What is a Welding Crater ? Unless welding is performed with a very low current, a concave dip, called a crater occurs at the end of a weldment. This crater results from the force of the arc and the contraction of melted metal when it cools and solidifies. The size of each crater relates directly to the welding current. Craters are not desirable because they cause a welding defect due to slag wrapping. 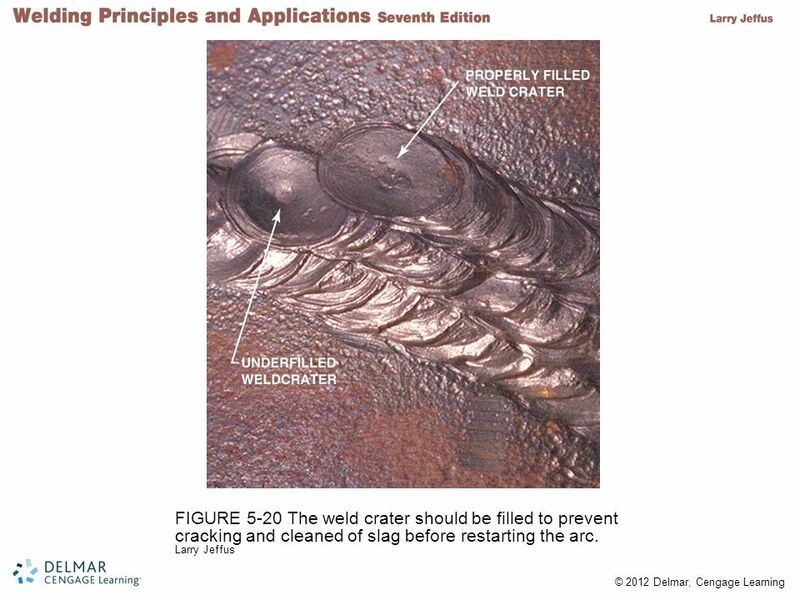 Crater welding is one method used to fill craters. It requires regular welding current. There are control sequences that allow you to switch to a crater filler current. 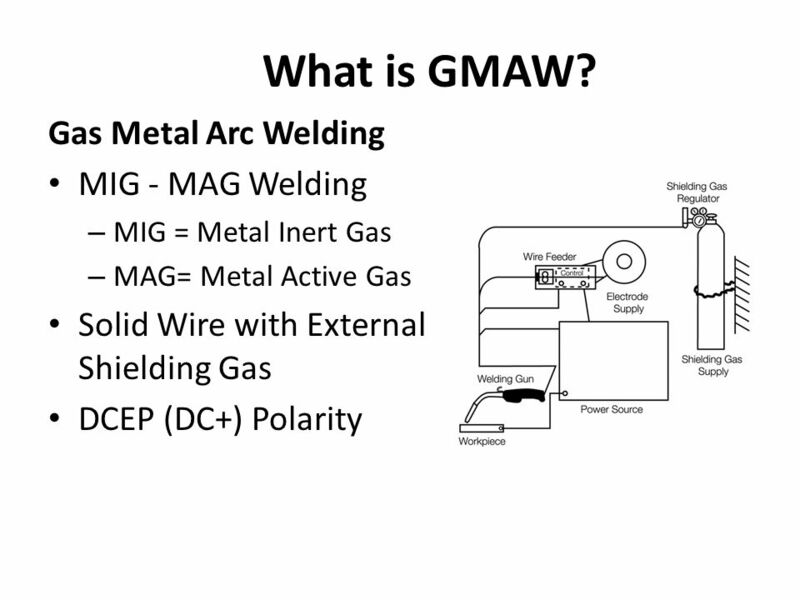 Gas Metal Arc Welding is a welding method more commonly referred to as GMAW or MIG welding. Typically used in the automotive and sheet metal industries, GMAW can be an automatic or semi-automatic process. GMAW provides high quality welds at a low cost to the manufacturer. This arc welding application feeds a GMAW metal consumable electrode and shielding gas through the welding gun. An electrical current travels down the electrode and strikes the arc between the metal being welded and the wire electrode. User-friendly - This welding approach is easy to set up and implement. Cheap - GMAW equipment tends to be more affordable and more available than other welding equipment. Steel, Aluminum, Copper, Nickel, Magnesium and other non-ferrous materials. What is prototype tooling ? Prototype tooling as basic part fixturing, as well as the use of manual clamping and rigid steel framing that is fabricated from a customer's parts. Prototype tooling provides a concept of what the production tooling is meant to be. It is not meant for production tooling. When the prototype tooling is tried out, final tooling could be quoted to you and provided. 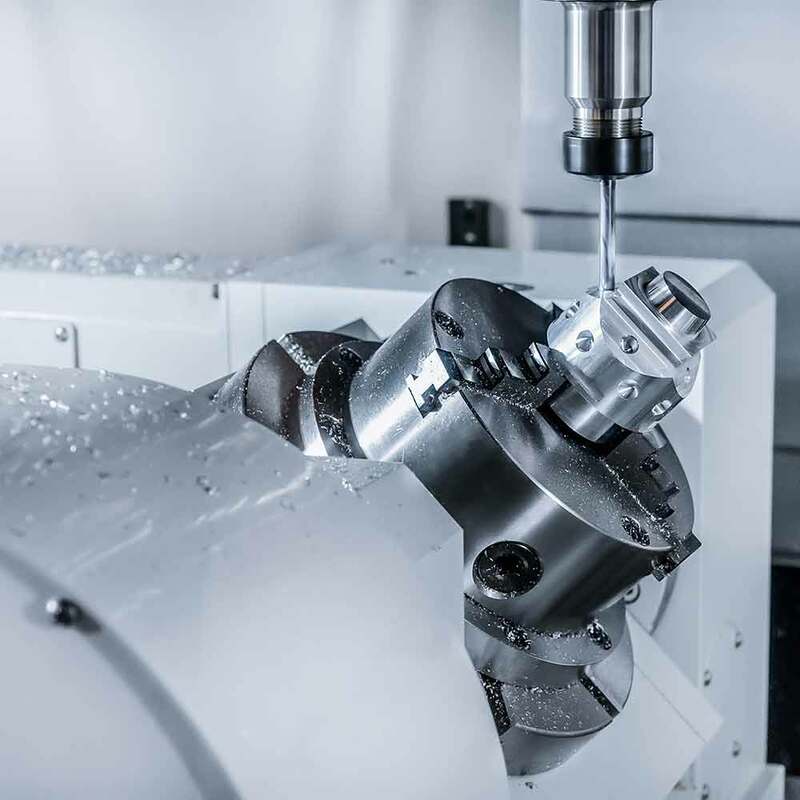 Prototype tooling does not include: part presence sensors, tooling design drawings or pneumatic clamping and isn't subjected to a customer's specifications or original design. Prototype tooling demonstrates the correct way to weld the part and also shows how tooling can be instituted at low cost to the customer.